Ahoy there me hearties….the pirate ship has sailed into Gorwell Farm. 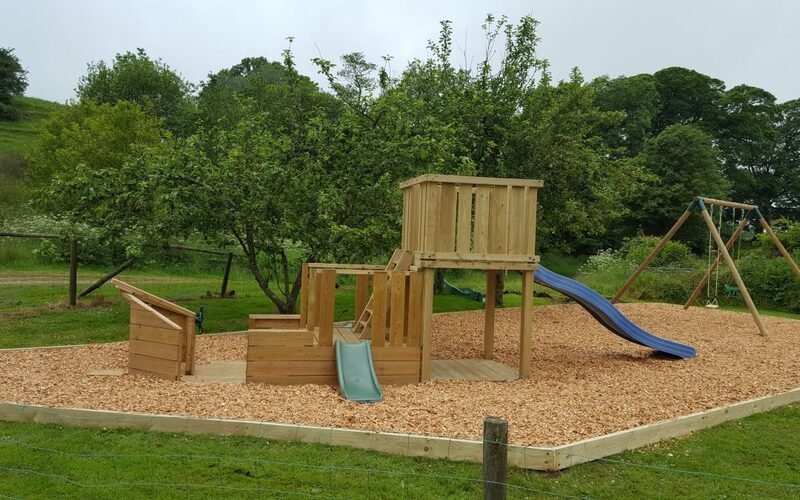 We are very excited about our new play equipment at Gorwell. A pirate ship with 2 small slides for young pirates and then a top deck slide for the more adventurous pirates to be able slide into action. Steer the ship and look out for other ships or desert islands to explore. Enough of being an exploring pirate for the time being…well swing on our new swing and pretend you are on the desert island enjoying the adventure.